UltraSurf allows you to surf internet safely with encrypted tunnel and find a way around to access websites that are restricted in some countries. It is a free privacy software which masks your IP address from others who are trying to enter your PC. UltraSurf is a small system application offers solid online security and it actually acts as proxy tool. It has the ability to cross the barrier of internet censorship and other websites can only see UltraSurf proxy servers’ IP addresses. The Interface is straightforward and uncomplicated navigation with Home, Retry, Option, Help and Exit buttons. When you launch the program for the first time, you will find Internet Explorer loaded instantly and a golden lock icon shows up on your Windows Taskbar. This is bit annoying but you can change these in settings. UltraSurf privacy tool perfectly suits for those who are completely unaware of proxy servers. Those who know can alter the proxy settings with ease. 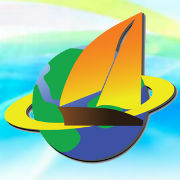 About 1 million people per month from 180 countries are using UltraSurf and are quite happy with its performance. Finally, if you are looking for a simplest and secure way to browse internet and bypass the online censorship, then UltraSurf will definitely satisfy.